The structure of the Trygghamna-Vermlandsryggen area, Isfjorden. The Tertiary earth-movements, which produced such complex structure to both the north and south of Isfjorden, have at Trygghamna given rise to a comparatively simple area. 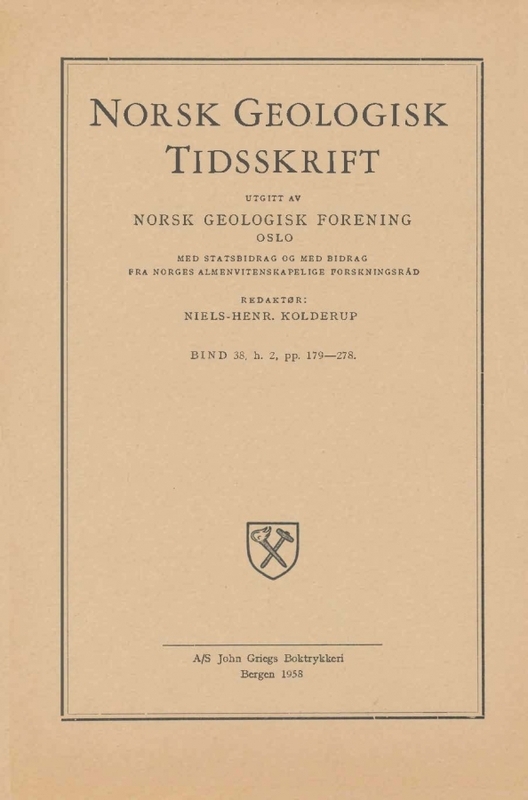 Nathorst (1910) attributed the folding to what he described as the great coastal fault in the west, the fault being drawn at the boundary between the Hecla Hoek and Culm formations. Since Nathorst's day much evidence has been gathered supporting the view that strong pressure from the west was responsible for the Tertiary folding and that the faulting is somewhat younger. Overthrusting of the Hecla Hoek on to Carboniferous rocks occurs to the north and recumbent folds in the Carboniferous, overturning to the east, are known south of St. Jonsfjorden. Nevertheless, the structure at Trygghamna seems to remain comparatively simple.